Chris Evans, Kang-ho Song, Ed Harris, John Hurt, Tilda Swinton. Ten years ago Korean cinema seemed only good for obscure Asian Film Festivals. While the “Ring” phenomenon of the Japanese cinema was followed by “The Grudge” and the Chinese studios, after the success of “Crouching Tiger, Hidden Dragon”, made more and more blockbusters in that direction, America discovered the economic power of the Chinese and Indian markets (now China even produces Hollywood blockbusters, like DMG with “Iron Man 3”) but the poor Korean cinema always seemed like a Cinderella waiting for its turn. Then “Old Boy” (2003) by Chan-Wook Park gets an endorsement by Tarantino at Cannes, “Two Sisters” (2003) by Kim Ji-Woon is an instant Hollywood remake (while the director will make a movie for Arnie ten years later) and “The Host”, by young director Bong Joon-Ho, surprises westerners with its cool effects (produced by Weta Workshop) and its different take on the classic story of “monster vs. casual heroes”. Nowadays Korean cinema is a hit in the box offices in America and Europe too, while their actors (like Daniel Dae Kim and Junjin Kim in “Lost” or Byung-hun Lee in “GIJoe” and the latest in the “Terminator” franchise coming in 2015) are becoming more and more appreciated as are Japanese actors such as Watanabe Ken (“Godzilla”, “Batman”), Hiroyuki Sanada (“Lost”, “Wolverine”) or Chinese actors such as Chow Yun Fat (“Pirates Of The Caribbean”) and Jackie Chan (“Rush Hour”). 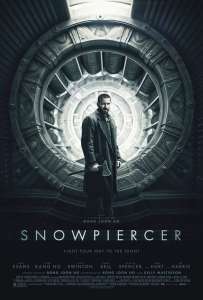 “Snowpiercer” is a Korean movie production, almost entirely shot in English, with a cast of American, European and Korean actors. It is a story taken from a French comic book, directed by the Bong Joon-Ho of “The Host” and shot in Prague. A story of a dystopian future were an ice age nearly wipes out all humanity and only a train in perpetual motion can guarantee survival at the price of famine and social discrimination between the people of the privileged first class and the sick and poor of the tail end of the train. And when it’s time to revolt, the train becomes the set of a guerrilla warfare, fought car by car, with surprises and turns through ever door. Until the truth is discovered, but it maybe too late. Sponsored by Chan-Wook Pak who helped his friend Bong Joon-Ho in aquiring the rights of the comic and with a budget of nearly 40$ million – the most expensive of his country – Snowpiercer is a voyage into a cinematic world that unfolds on a train, following characters who have to fight for their right to survive. While sometimes the story drifts into the “suspension of belief” territory, the excellent actor direction, set design and photography make it a wonderful ride right through to the end. 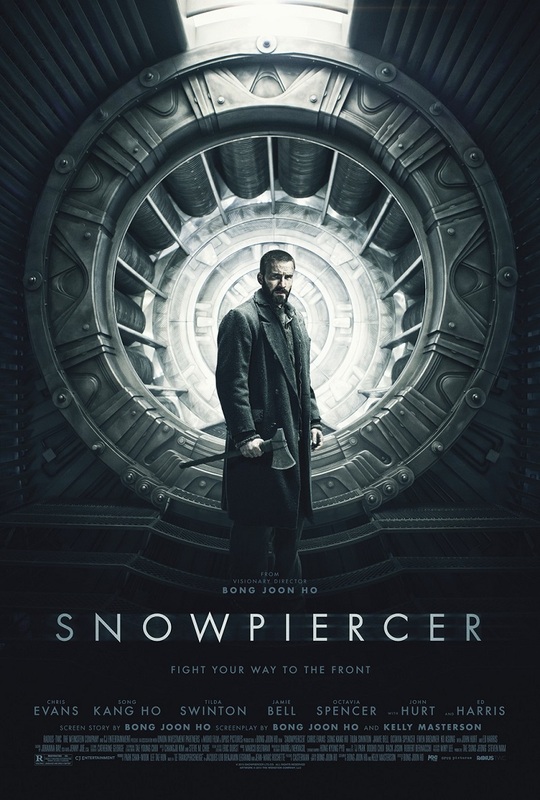 Snowpiercer is what cinema should be and mainly should do: entertain, make you think and wonder. A great reminder coming from a country, Korea, that we hope will continue to produce and conceive movies in this direction. Four our good, good cinema.